Do you feel a little jealous every time you see someone’s thick crowning glory? 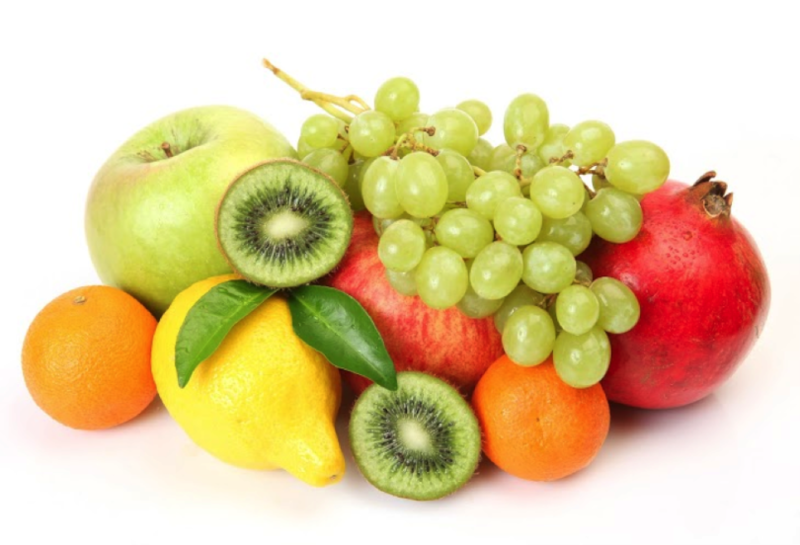 Did you know that two servings of fruit daily can enhance the strength of your hair? No matter which shampoo or conditioner you apply, you can never deny the fact that fruits are the most valuable beauty enhancers. The easiest way to get healthy and thick hair is by providing the body with the right nutrients. Here are ten fruits that can do wonders to your hair. Pineapple contains bromelain, a plant enzyme that is used extensively in hair care products to promote hair growth. Pineapple is a tropical fruit loaded with beta-carotene, which converts to Vitamin A in the body. Vitamin A helps in the production of essential oils in the scalp. Lack of Vitamin A can lead to dandruff and scalp psoriasis. Citrus fruits are rich in flavonoids and magnesium that boost hair growth. They are one of the best sources of Vitamin C. Vitamin C is a major antioxidant required for the production of skin collagen. Citrus fruits induce significant hair growth from the telogen to the anagen phase. Rubbing fresh lemon juice can also help to eliminate dandruff. Regular consumption of apple can help you to get lustrous hair. It contains phenolic compounds that strengthen the roots, promoting hair growth naturally. It also contains high levels of water that keep the hair hydrated, conditioning the scalp. Make sure you consume apples with the peel as it contains phytonutrients that are very beneficial for hair health. Berries are chock full of Vitamin C, which supports the small blood vessels that feed the hair follicles. Gooseberries, raspberries, and strawberries are rich in Vitamin B, which provides oxygen to the scalp, preventing hair fall. Regular consumption also slows down the hair graying process. Silica in berries checks hair fall and stimulates hair growth. The vital nutrients present in banana provide strength to the hair follicles, preventing hair loss. It contains biotin, inositol and para-aminobenzoic acid, the three major B complex vitamins that are crucial for facilitating hair growth. Vitamin B in banana increases hair growth by improving blood circulation and oxygenation in the scalp. Banana also reduces the effects of stress and cholesterol, which can negatively affect the hair growth. Avocado is the best fruit for maintaining healthy hair. It is rich in Vitamin A, B, and C, which are essential for hair growth. Vitamin E in avocado stimulates capillary growth in the scalp, resulting in better scalp circulation. It also prevents the occurrence of split ends. The high-fat content in avocados makes them an excellent choice as a hair conditioner. Mash a ripe avocado and apply it to damp hair after shampooing. Leave it for 12 minutes and then rinse off thoroughly. Grapes have been used since time immemorial to treat hair fall and promote scalp health. It is an excellent source of several hair-friendly nutrients like vitamins, antioxidants, and minerals. The high water content in grapes detoxifies the body, preventing hair fall. It also contains cysteine, an amino acid that creates chemical bonds to strengthen the hair. Peach, fondly known as “Persian Apple” is an excellent natural ingredient for hair growth. It contains biotin, a water-soluble vitamin that is recommended for strengthening and promoting hair growth. A deficiency in biotin can cause excessive hair fall. Besides the fruit, even peach kernel oil is used to enhance hair growth. Plum is an exceptional source of bioflavonoid, a nutrient required for maintaining the connective tissues of the scalp. It also raises the levels of blood circulation in the scalp, helping the hair to grow. It is an excellent source of iron, which improves scalp circulation and increases tissue oxygenation, stimulating hair growth. Daily consumption of papaya can help achieve thicker and fuller hair. Using papaya pulp on the scalp may help remove buildup and residual products from the hair. It also helps to restore the hair’s natural shine and softness. Papaya leaf extract is also used as a conditioner to restore life to dull and damaged hair. What are you waiting for? Head to your nearest grocery store and buy all these fruits to add luster to your hair.